My exchange in Peru starts on the the 15th of March 2011, at the Universidad del Pacifico in Lima, Peru. I will have to be at University there until the 23rd of July 2011, when the last exams are finished. My beloved Lonely Planet 🙂 This is how it looked after 6 months in South America! I used the above book in 2010 and I loved it! 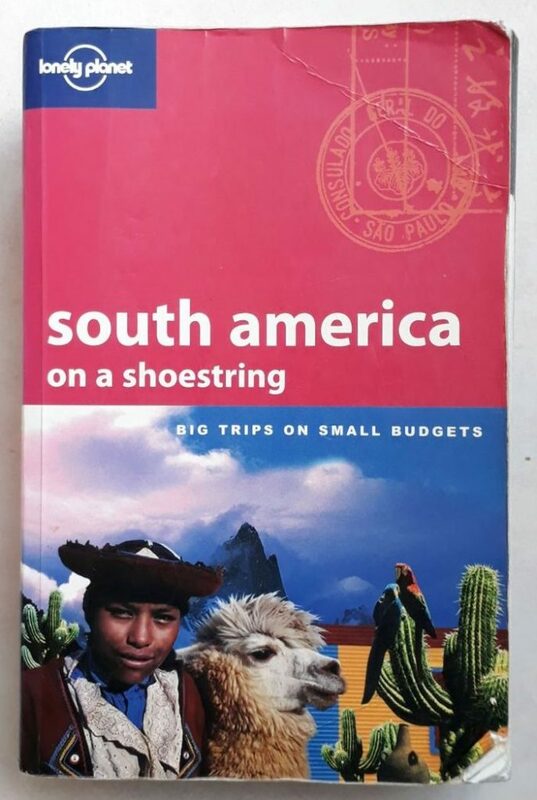 This is the latest version of the Lonely Planet South America on a shoestring (Travel Guide) that I used and you can order it cheaply through Amazon. 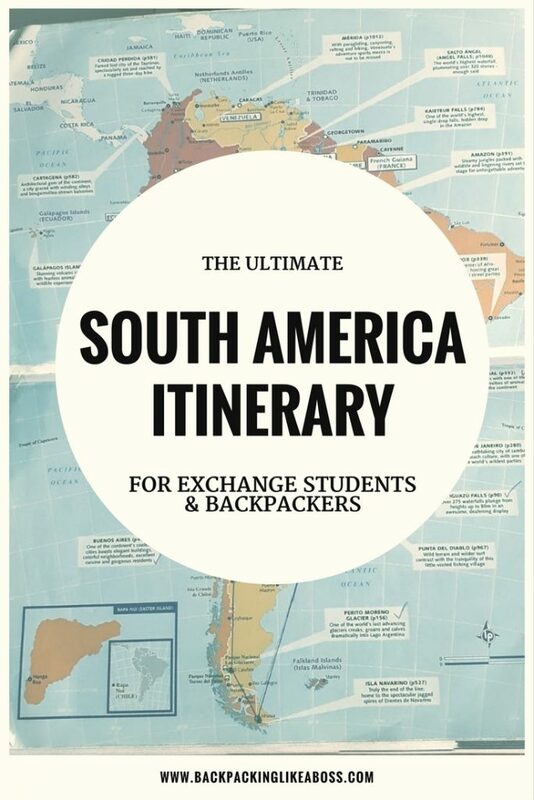 The first month I mainly want to spend in Argentina, discovering Patagonia and all the way up to Bariloche. Then travel north, through Bolivia and all the way up to Lima. 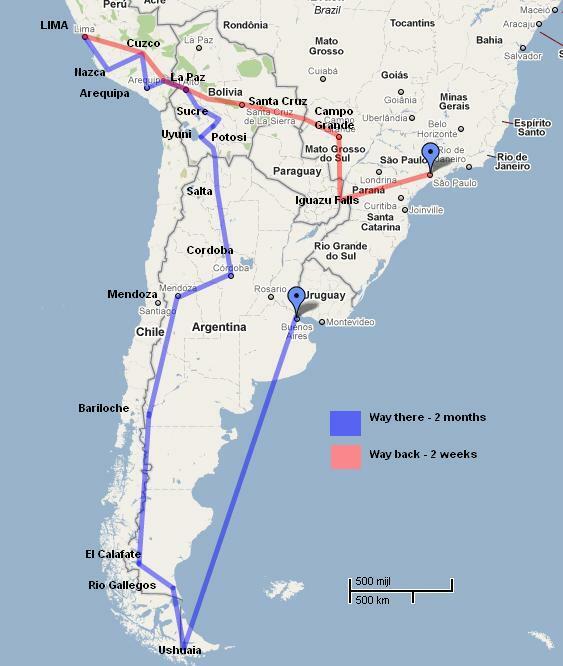 This is my planned itinerary for my stay in South-America. Blue is the way to Peru, Red is the way back. Pin this post to your pinterest board to come back to it when you need it!